If you are buying a new home soon, using loan amortization schedule will be helpful for your budget. This schedule allows you to enter loan amounts, anticipated interest rates, and loan payments per year. With these variables, you are can calculate your anticipated loan payment for your new home. Being able to tweak the interest rates and extra payments makes these schedules ideal for the new home owner. Excel is an ideal tool to use for these calculations. Many of these templates are already included in Microsoft Excel’s template collection. These templates are free and available to you if you are using this Microsoft product. They can be downloaded from the internet or open from the template directory in Excel. Again, this template is free and available in your version of Excel provided you are using 2003 or higher version. If you are not using this version, try downloading it from the template area of Microsoft’s website. For directions on how to download this template from your version of Excel, click here. Hello! I do not see a condition of use of the information. Whether it is possible to copy the text written by you on the site if to put the link to this page. 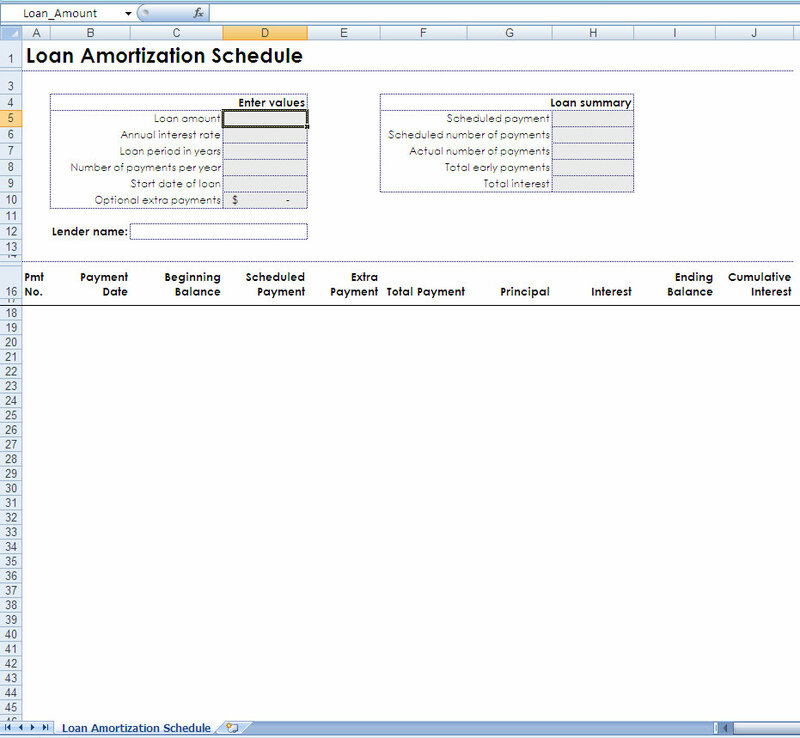 Feel free to include a link (http://www.myexceltemplates.com/loan-amortization-schedule/) from my site to yours or reference my site when using information here! Just wanted to say thank you! for all the great info found on your site, even helped me with my job recently 🙂 keep it up!